All fonts should be converted to shapes before artwork is submitted for print. All Photoshop files should be at 300dpi, and sized at the proper print size and have all fonts flattened to their own layer. PDF are an ideal universal graphics file. Please make sure all fonts are included with the file, or are flattened in the original artwork. 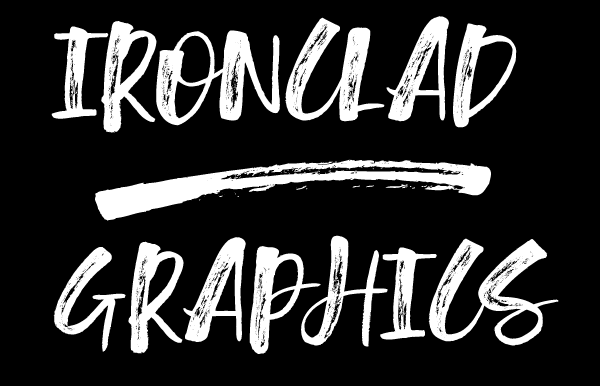 Artwork should be emailed to us at quote@ironcladgraphics.com, along with your order details and any other information we may need in regards to your print job.